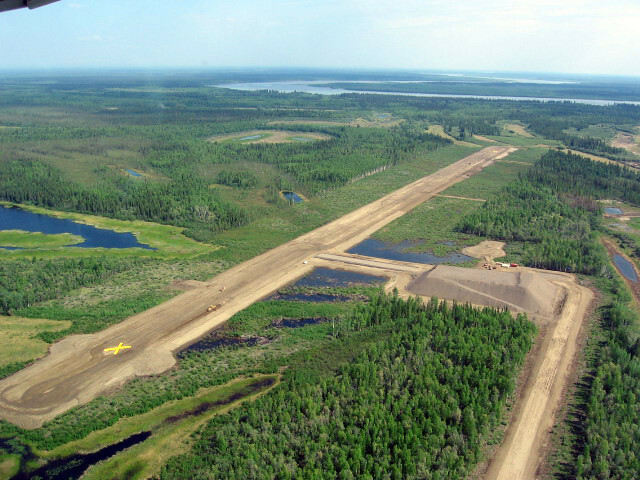 This project relocated a rural community’s State-owned airport to Village Corporation land. The new airport is located one mile from the community, is 4,000 feet long and 75 feet wide, and meets current FAA standards for a B-II airport with non-precision instrument approaches. The original airport was too short and narrow for the aircraft using it – only 2,120 feet long by 60 feet wide – and tucked up against the community. This location hindered expansion and provided less than ideal safety conditions. 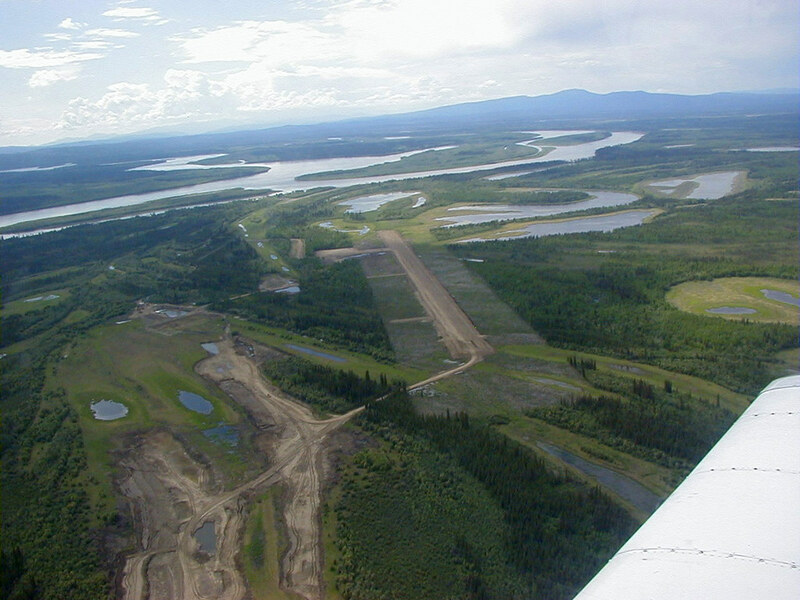 The Alaska Department of Transportation and Public Facilities (DOT&PF) first initiated an attempt at relocation in the early 1990’s, but negotiations fell apart over land issues. After DOT&PF re-issued the project in 2000, PDC successfully selected a relocation site through review of existing aerial photography, a site visit, and extensive coordination with the village government, residents, and Native corporation. Subsurface soils at the new site are on ice-rich permafrost, which required a thick embankment section to protect the subgrade from degradation. An inland site containing wet silty sand was found to be the most economical source for this material. Because of the wet construction materials, the project was constructed in two stages. Stage I constructed the main embankment, and Stage II added the gravel surfacing (from a river material source), airport lighting, and snow removal equipment building. Community Support Achieved Through Public Involvement: Through our public involvement process, PDC engaged the community and helped them come to a conclusive decision on the airport location. Quick Land Acquisition: Our handling of the public involvement process set the groundwork for DOT&PF right of way acquisitions to be accomplished quickly. Accelerated Schedule: PDC completed the planning, environmental document, property plan and right of way support, and Stage I design in just over a year’s time: the contract was signed in February 2000, and we submitted bid-ready plans, specifications, and estimates in June 2001. Our ability to work in partnership with DOT&PF staff helped us achieve this timely completion of the project within budget.